Primary voters chose him because he promised to fight. Party leaders need to learn to be less timid. Sounds right, seems smart. Yet for millions of Trump voters it misses the point entirely. Mr. Trump’s style is part of his substance. His most loyal supporters back him because of, not despite, his brash behavior. He would not be in the Oval Office today had he followed a conventional path or listened to the advisers telling him to tone down his rhetoric and discipline his behavior. If Republican primary voters had wanted a border wall, tax cuts and sound judges without the drama, they could have picked Ted Cruz. Instead they elected Mr. Trump for exactly the reasons that the mainstream media, late-night comics, and party elites cannot stand him. GOP voters have traditionally demanded their leaders demonstrate fealty to conservative principles through life experience: by offering a spiritual conversion story, standing with a supportive spouse and children, talking about the deer bagged during last year’s hunting season. The reality was that voters trusted candidates who were like them in beliefs, habits and appearance. Knowing this, candidates tried to find common ground with regular people. That’s why Democrats in red states cut ads showing them shooting guns and professing their faith. It’s why Marco Rubio repeatedly told the story of his father, the immigrant bartender, and why John Kasich offered paeans to his father, the mailman. But what was really achieved by all those years of supporting politicians with perfect church attendance and lifetime memberships in the National Rifle Association? Relatively little in enacted legislation. That’s why in 2016, after years of broken promises about repealing ObamaCare, balancing the budget and imposing term limits, conservative voters decided they’d had enough. They decided to support someone whose primary virtue was that he would not back down from fighting for them. Mr. Trump may not have grown up in a log cabin, and he has at best a mixed record on conservative social issues. But he delights in taking on the Washington elites, the mainstream journalists and the Hollywood sophisticates who mock his voters and their cherished beliefs. Mr. Trump may not actually succeed in Washington, but how could he do any worse than the Republicans who paid lip service to conservative goals only long enough to get elected? Many Trump voters are unapologetic social conservatives who reject secularism and multiculturalism while embracing patriotism. At the same time, they are economic populists. They want to cut federal funding for Planned Parenthood, but don’t share Paul Ryan’s eagerness to limit the growth of their Social Security and Medicare benefits. They don’t view Mr. Trump’s break from Republican orthodoxy on legal immigration and free trade as problematic. They cheer his denunciation of kneeling football players. These voters suspect, with not inconsiderable evidence, that the GOP’s leaders have less in common with them than with the cultural elite. In their lifetimes, they have watched both parties, all three branches of government, and the popular culture move from embracing many of their core values to, at best, tolerating them. In the same way that feminists like Gloria Steinem were desperate enough for victories to give Bill Clinton’s boorish behavior a pass, many conservatives are now willing to overlook each new revelation about Mr. Trump. After all, he is delivering wins: withdrawing the U.S. from the Paris climate deal and the Trans-Pacific Partnership; moving the U.S. Embassy to Jerusalem. Yet this conservative coalition, built on a potent combination of anger, frustration and resentment of its previous leaders and the cultural elites, may not be sustainable. These voters will not abandon Mr. Trump as long as they believe he will not abandon them, but they also won’t attract many new adherents. There must be a path forward that restores conservatism’s natural optimism, confidence and universalism. Republican leaders can start by being honest with voters. They pretended for eight years they were going to repeal ObamaCare, even when they had no realistic plan to do so. For years they promised simple solutions and blamed others for America’s problems. The Chinese are indeed exploiting trade and intellectual property to their advantage, but China isn’t to blame for the appalling state of many urban schools. The GOP needs to spend political capital accomplishing the priorities not merely of its donors but also its voters—for instance, by protecting religious freedom. Finally, Republican leaders have to lead. They have to persuade instead of pander, to expand the conservative coalition by building bridges where possible and evangelizing where not. Simply making another Trump joke may help party bigwigs feel good about themselves, but it only enhances the resentment that put him into office. 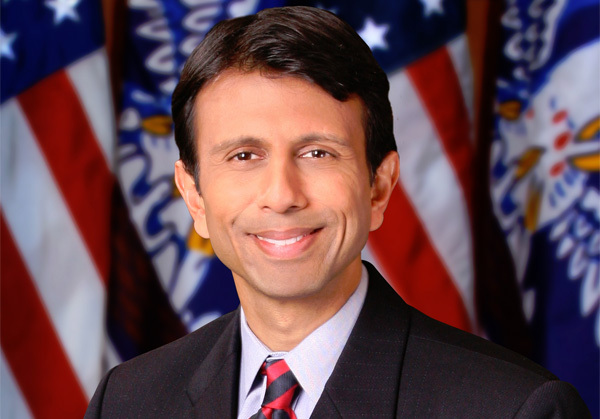 Mr. Jindal was governor of Louisiana, 2008-16, and a candidate for the Republican presidential nomination in 2016. The stock market has been heaving out of fear of higher deficits as a result of the vast tax cut law signed by President Trump and of course the left is angry about tax cuts just on principle, and both have forecast lower federal revenues as a result of the change. But, well, now we have headlines like "Feds Make History With Record Taxes in First Month of Tax Cuts" and "Monday's Tax Receipts Would Pay For Entire Border Wall." It goes to show that in the first readings in the contest of whether tax cuts mean more federal revenue or more federal deficits, those who say the latter are losing, squarely. The Treasury brought in approximately $361 billion in total tax revenue for the month of January and managed to only spend roughly $311.8 billion. This means it ran a surplus of over $49.2 billion. Turns out tax cuts bring more money to the federal government, not less, going completely against the conventional wisdom about tax cuts creating deficits. And to follow on from that, if we have a responsible government, it means we can close the deficit in spending and can retire more of the national debt from the enhanced revenues – and pay for social services for the truly needy. That's a beautiful thing. 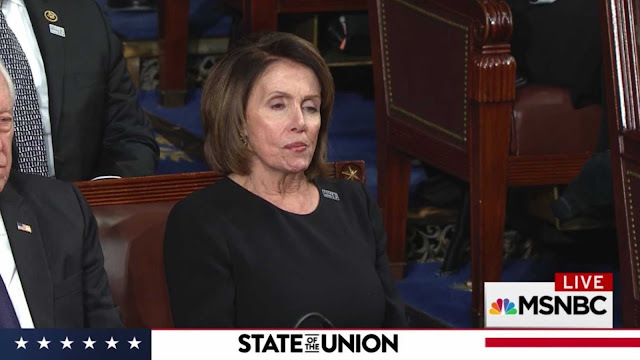 It also goes to show that a whole lot of "crumbs," as Nancy Pelosi sniffingly called the tax cut gains, are piling up. Nancy Pelosi's sour face during Trump's SOTU speech goes VIRAL! Let's look at some of those "crumbs" as they now stand: we have workers left and right taking home bonuses. 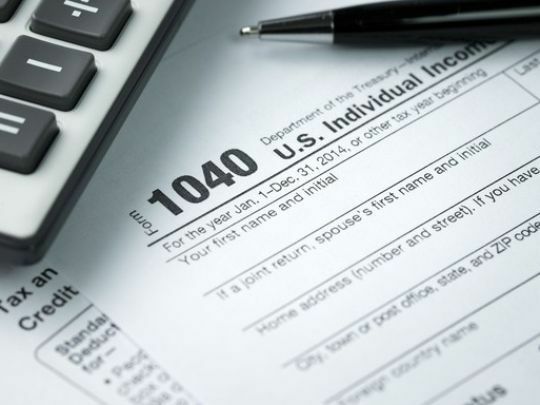 We have businesses once again forming, which is something that extends the tax base. We have consumers spending, which fills state and city coffers some more. We have individual jobs forming at companies of all sorts, which lards up the federal and state coffers even more. We have more people entering the workforce, with some dumping welfare and SSI, to get into the arena again, also contributing to the tax base. Here's the best thing: the crumbs aren't done piling up. The knock-on effects from the long overdue tax cuts are only just beginning. During a series of afternoon procedural votes, no immigration amendments crossed the 60 vote threshold that would have cut off debate and paved the way for final votes. The effort to pass immigration legislation comes as Democrats insist on protecting young illegal immigrants brought to the country as children and Trump demands funding for a border wall.